Bonhams auction house was organising the sale. 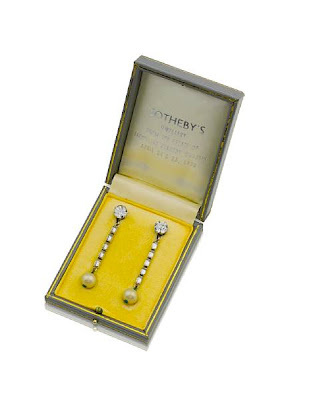 The jewelry was presented as a part of "Pioneers of Popular Culture" collection, and all items were sold for an astonishing US$ 24,200 for the ear-clips, US$ 14,900 for the single strand, and US$ 46,600 for the triple strand! Jackie O's iconic style with A-line dresses, clean-cut suits, and yes, pearls, continues to be so universally admired that even her costume jewelry is worth a fortune. The 18-inch triple strand received special attention from the buyers. 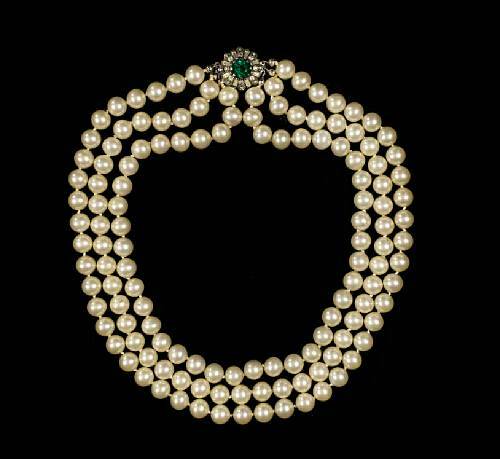 It is the very same necklace that Jacqueline Kennedy was wearing while living at the White House. 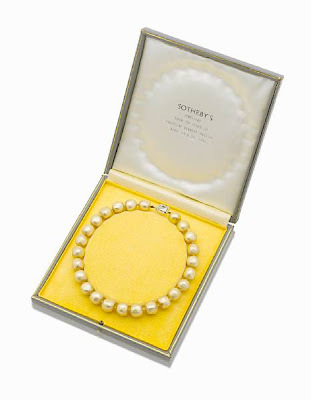 It incorporates champagne-colored faux pearls and is adorned with a simulated emerald and diamond sterling silver clasp.